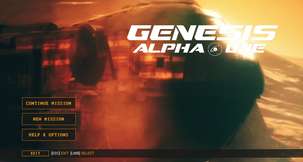 Genesis Alpha One is a dividing game. 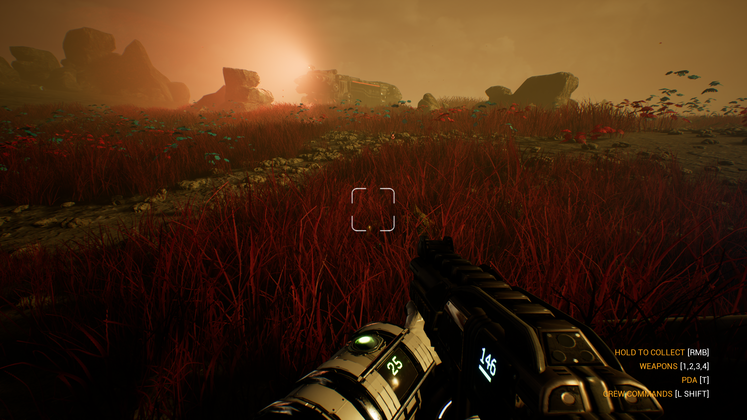 One one hand, it is an interesting and novel roguelike survival shooter with a pretty clear idea of what its sci-fi and style should be. On the other, that very same style and shooter mechanics are grating, leading to a rather weird situation where the game seems to have more direction than 90% of indies in the market, but that direction is slightly misinformed – and considerably abrasive. The plot of Genesis revolves around the same old sci-fi trope of a humanity that exhausted its natural resources, leading to a technological space race seeking solace among the stars. At the start of each run, players can choose a sponsoring corporation, crew members, and special items to take on the journey, all with the intent of finding and colonising a planet that can support life – a “Genesis” candidate. 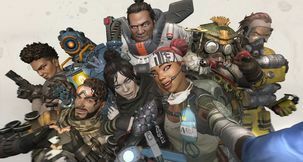 Players start the game with a couple of sponsor choices and a human-only crew, unlocking further and better options through in-game milestones like finding unique items and species or building a specific room. That room building is one of the main draws of Genesis Alpha One – the ability to constantly expand and improve your starship as your journey from system to system, both increasing your operational capabilities and your chances of survival. While the concept is not only sound but straight up enticing, the execution is considerably less accomplished. Ship building is heavily restricted by the spartan functionality of pre-defined room modules, leaving little to no room for creativity – and almost zero space for customisation. 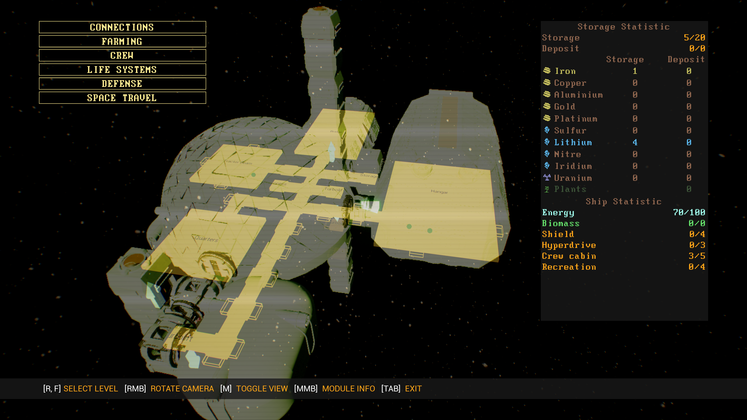 Aside from placing corridors and changing a couple of color categories, players basically build their ship by slotting rooms in the attachment points permitted by their layout. Building is not optional, as things like biospheres, storage rooms, and tractor beams are crucial for the gathering of materials that fuel continuous survival. In order to reduce the strain of operating all the rooms, Genesis allows you to assign crewmembers to each spot, allowing the ship to operate automatically. However, crew management is badly implemented and uninspired, consisting of assigning brain dead colonists that behave more like stupid ill-programmed robots than actual living people. 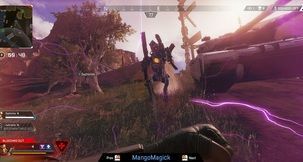 They require constant micromanagement and are unable to engage enemies most of the time, meaning the player feels more like a nanny than a captain. 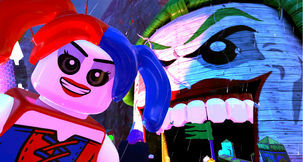 In fact, those gameplay flaws fundamentally undermine all the immersion the game’s presentation works so hard to build. After every hyperjump, the player must reassign every single crew member to their slots all over again. 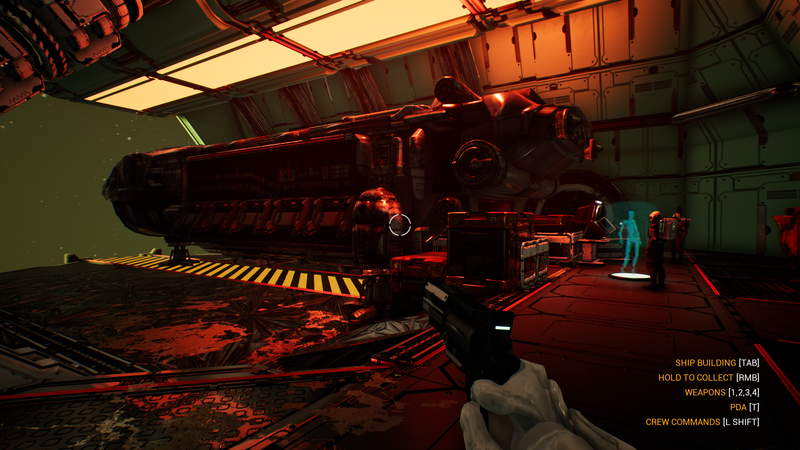 On every random planetary expedition, the player must face hordes of enemies alone as the rest of the landing party uselessly stands by or walks around aimlessly, as crew back on the ship stop gathering resources until you return. 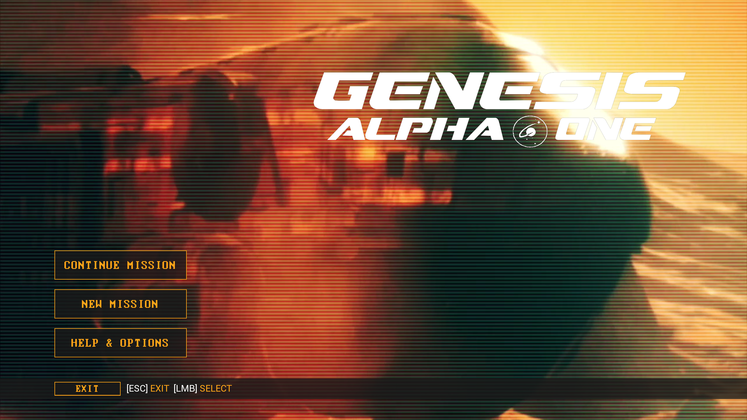 The game tries to sell the illusion of being a captain, but Genesis Alpha One is a terribly lonely game. The shooting aspects of the game are also less than stellar, as energy projectiles slowly travel through the air and some weapons are straight up off-centered on the screen, lending a blatant amateurish feel to the whole endeavour. Movement is unnaturally fast and uncomfortably floaty, which together with the game’s art design and darkened environments create a general atmosphere of discomfort. The graphics are weirdly abrasive, attacking the senses and making the simple act of looking at the game an intensely unpleasant experience. The truth is, Genesis Alpha One feels like an Early Access game, far from the polished status one would expect from a full release – even an indie one. 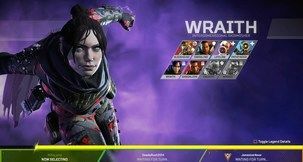 While the concept is intriguing and very promising, the lack of immersion and design decisions make everything exhausting. If you’re interested in a roguelike sci-fi game, you could give Genesis a shot, but don’t expect much from what is clearly an unfinished title. Great concept and premise derailed by bad game design and a terrible graphical presentation. Being crushed to death by a collapsing passageway because the game never told me how or where to fix it.